One of the world’s great cultural melting pots. 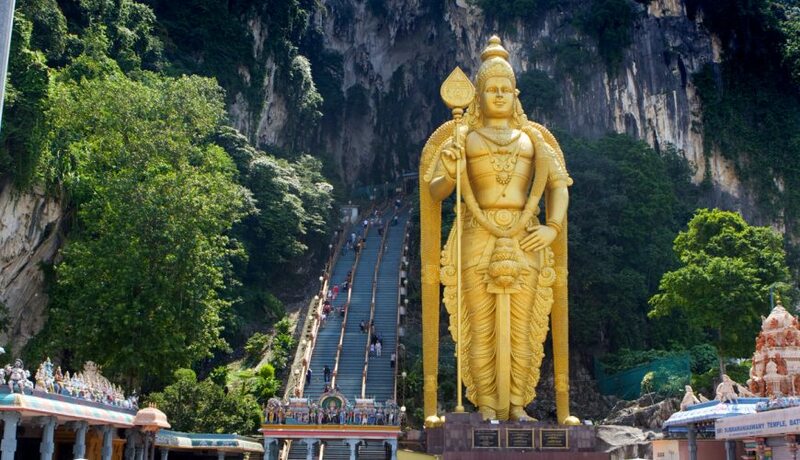 Malaysia is a very popular Southeast Asian travel destination and it presents a captivating mix of the new and the old. Malaysia is a nation where the Malays, Chinese, Indian, Europeans and indigenous groups live in harmony. In this visitor-friendly country you’ll find reefs and rainforest, mountains and minarets, skyscrapers and sampans, great weather and white-sand beaches and top-class shopping and dining options. What was once a small Chinese tin mining town on the west coast of Malaysia is now home to Kuala Lumpur, Malaysia’s cosmopolitan capital city. The city offers an excellent array of sights, activities and experiences from the famous Petronas Towers, to the nearby Batu Caves, world-class shopping malls to a diverse culinary scene to suite all tastes and budgets. The east offers several easy-to-reach tropical islands (such as Sibu and the Perhentian Islands), offering snorkeling and diving off white-sand beaches and the north offers several hill resorts ideal for those looking for a respite from the heat and humidity of the coast. Nature-lovers will not want to miss East Malaysia, a rich and varied tropical island teeming with outdoor and water sport opportunities in the twin states of Sabah and Sarawak. Visit Kinabalu National Park, an area so full of biodiversity that it has been declared a UNESCO World Heritage Site, or else head to Sipadan Island and experience what are widely considered to be the best diving and snorkeling sites in the world. Peninsula Malaysia is where people go for bustling cities and colonial history, but the states of Sabah and Sarawak on Borneo are the gateway to another world. Lush rainforests are inhabited by isolated indigenous tribes, whose traditional way of life are vanishing fast as the modern world encroaches.